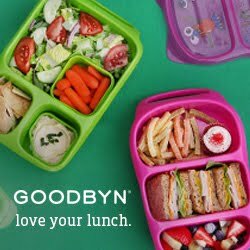 The new Easylunchboxes BRIGHTs are here and I could not resist to get a set since my daughter loves purple! When you are three it is incredibly exciting when your lunch box matches your chapstick, right? One more word to the cooler. I was pleasantly surprised by the size of the cooler. It looks very large on Amazon but in reality is not much bigger then a regular lunch bag! It fits up to three Easylunchboxes (great for sporting events or car rides) or one Easylunchbox, a thermos, yogurt, ice pack and snack for every day packing. I also love the short handle! Long enough to attach it to the backpack or carry it but not too long to be in the way!! Thermos generously sent me two FUNtainer food containers and two FUNtainer drink containers to review and I am so excited to share my review with you! First, we tried out the food containers. 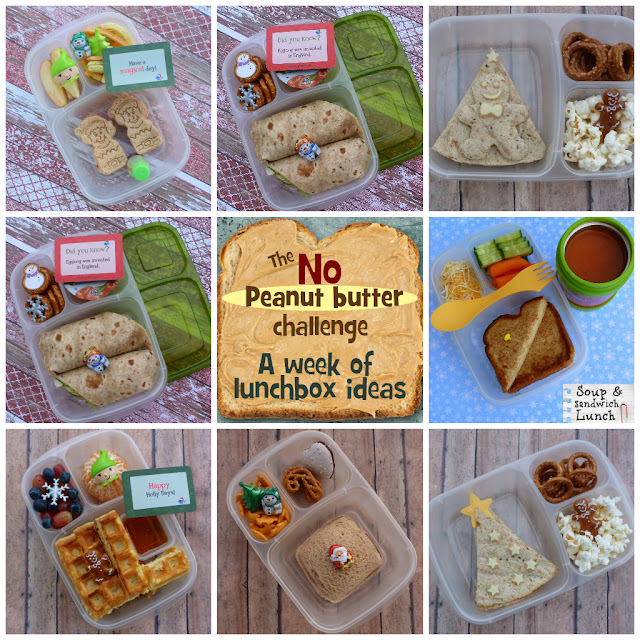 I have several food containers that keep food warm for lunch already but so far my kids have always been disappointed when the food was not warm anymore once they opened the containers at lunch. I wanted to try how long the food stayed warm in the FUNtainers as well as if food would stay cold as well. I was pleasantly surprised! When I tried to keep hot water warm as a test at home the FUNtainers kept the water warm well beyond the advertised 5 hours and some of the ice water I tried at home stayed cold up to 10 hours. So, next we of course packed some yummy food to take to school to test if this would be true for food packed. The first day I wanted to send in yogurt and placed the FUNtainers in the freezer for 30 min in the morning before filling it. I packed yogurt topped with Swiss Muesli, blueberries and raspberries! The food was nice and cold once lunch time came around 11 am and my kids were very happy with the result! I am excited as well because this is a great power food and I love packing food like this for lunch for myself as well. The kids also loved how easy the containers opened since we also had issues with hard to open insulated containers before. So thumbs up so far! I added 6 oz of vanilla yogurt topped with 3 Tablespoons of Swiss Muesli and a few raspberries and blueberries. For myself I like adding almond slices and hazelnuts as well and I bet dried fruit would be delicious as well! I can highly recommend the Thermos FUNtainers if you are looking to send in cold fruit, yogurt or any other cold food! Some of the yogurt I sent was still very chilled by the time the food came home at the end of the day! Of course after such wonderful results we wanted to test out as well if the food would stay warm long enough until lunch! Looking for some fun and nutritious food to pack I decided to pack Oatmeal and again with blueberries and raspberries - my kids favorites! Before filling the FUNtainers I added some hot water to the container 10 minutes prior to adding Oatmeal. My son did not finish the whole container of food at school and it was still warm when he got home at 2:30pm and he was able to finish it for snack! This is the only container that has food kept warm for this long and we are definitely going to get more containers for soup, chili, oatmeal and more! My kids loved both the yogurt and cereal and the hot oatmeal and since I can be sure that their food stays warm or cold I feel like I have many more options to send in food now! Thermos also provided us with two 12 oz FUNtainers bottles. And my kids absolutely fell in love with them! The bottles state that drinks would stay cold for up to 12 hours and that is absolutely true! I placed the bottles briefly in the freezer before filling them and my kids have been taking cold milk, smoothies and fruit water to school and if I add ice cubes they are barely melted by lunch time. I feel much more comfortable now sending in milk products or smoothies and my kids love how easy to use the bottles they are! 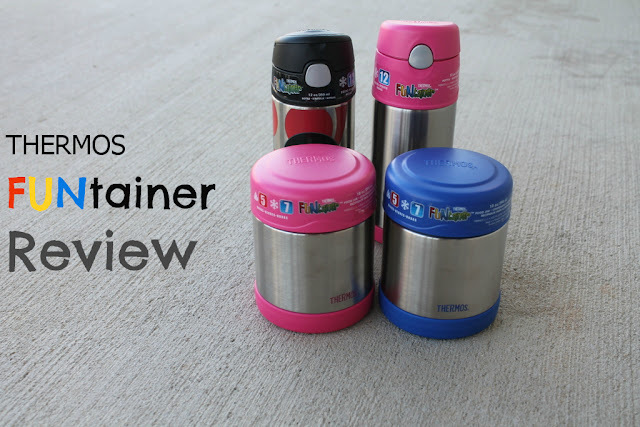 We were pleasantly surprised that the Thermos FUNtainer hold what they promise! 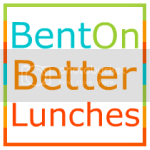 They keep your food chilled or hot until lunch time and beyond. 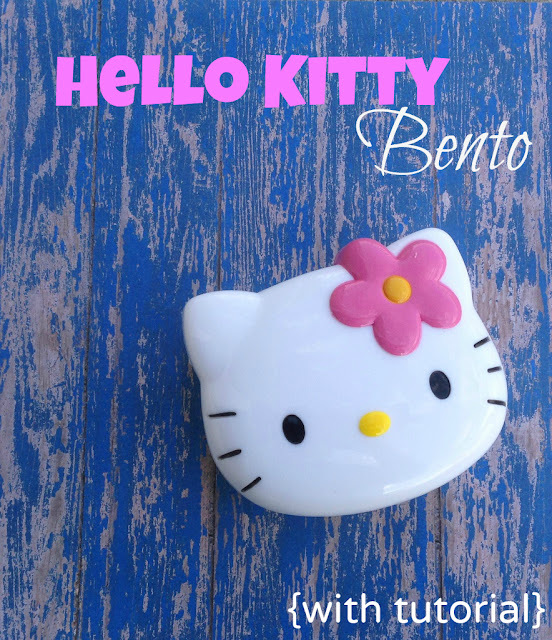 They are easy to use for kids and easy to clean for Mom since all the parts come apart. Bring milk (or water) to just before boiling. Add oats. Reduce heat and cook at a gentle boil for about 5 minutes while stirring constantly. Remove from heat and add your favorite topping! Add all the above to blender. Blend and fill in your favorite FUNtainer! This is enough to fill two 12 oz FUNtainers! Add frozen fruit to your FUNtainer and let soak over night in the fridge! You will have a lightly flavored fruit water in the morning! 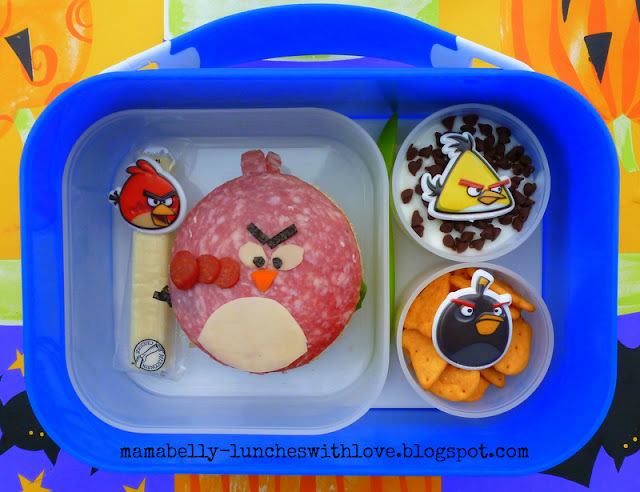 I am so happy it is Friday and packed the kids a fun Breakfast for Lunch Box! We packed oranges, a cereal bar, pancakes, syrup and some vanilla yogurt with a few mini dark chocolate sprinkles! As always the kids also brought ice water. I hope you all had a chance to enter my yubo giveaway! My son was sick this week but after our new Monster Munch Lunch faceplates from yubo arrived he declared that he wanted to have lunch in his "new" lunchbox even if he was still home sick. We packed a very silly monster apple, a cereal bar (decorated with two chocolate chips and a half a mini peanut butter cup), rotten monster fish with worms and a creepy yogurt. It is finally Friday and after taking turns being sick everybody is back to school today! 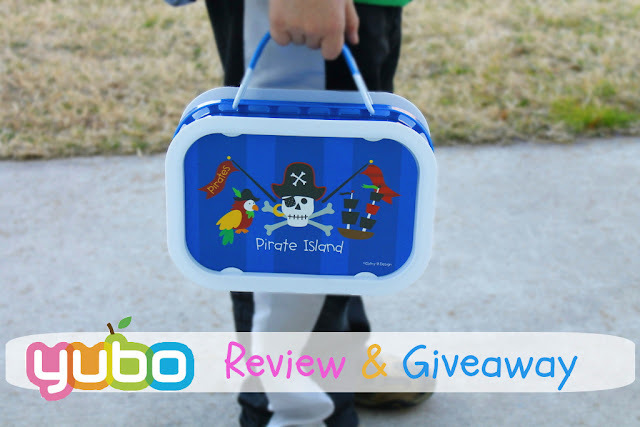 Do you like the yubo lunch box? Stay tuned for a review and giveaway on Monday! Also, stay tuned for a great coupon code for the yubo coming next week! Our lunch consists of three Onigiri, apples and orange slices, energy bites and seaweed Arare which are Japanese crackers wrapped in seaweed. For the younger kids I made smaller Onigiri and they packed apples, oranges, energy bites and Arare as well. My sister asked me the other day for a quick picture tutorial on how to make these very plain Onigiri because she wanted to make some to dip in different sauces and I made this tutorial on my phone - so pardon the light and quality - but I though some of you might like to see it. Typically, I steam the rice and let it cool until it is only slightly warm. I put about one Tablespoon of rice on a small piece of plastic wrap and either form a ball by kneading the rice or twist the top of the foil until a ball forms. In this tutorial I used some seaweed and a seaweed stamp and made first a round rice ball with face. 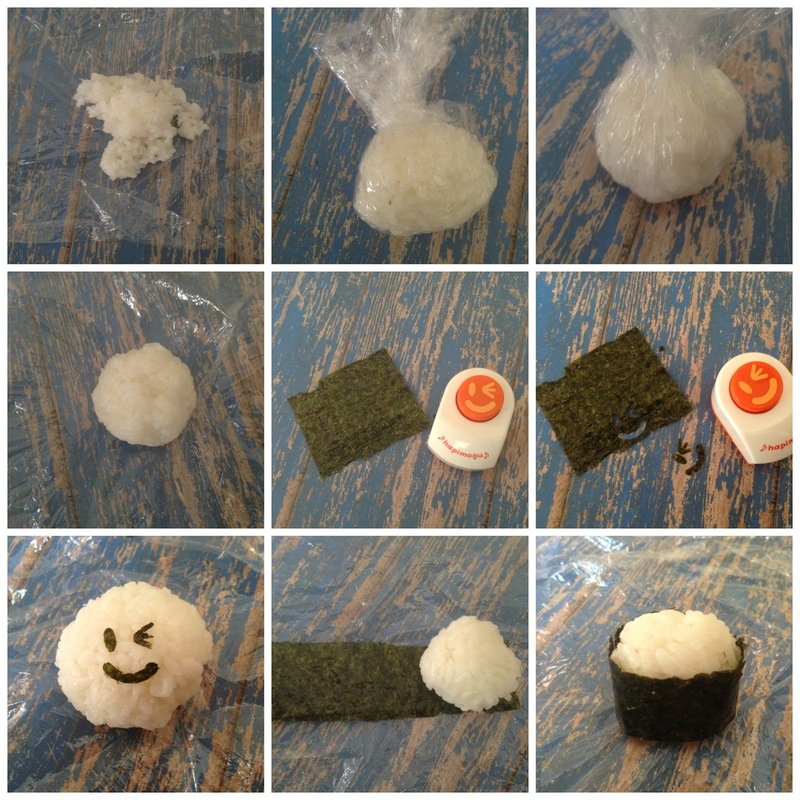 You can also cut a long strip of seaweed and wrap the rice ball in it to look more like an Onigiri. Beware that the seaweed will "shrink" once it absorbs some of the moisture from the rice so cut the strip a little longer then necessary! Hope this helps if you are looking to make some very simple rice lunches! I cut some thin strips of nori with kitchen scissors for the whiskers and two oval shaped pieces of nori for the eyes. Then I used the flower shaped cookie cutter to cut the ham and layed out two pieces of corn. Now you just have to add the pieces to your steamed rice, add Furikake or soy sauce in a small container for seasoning and you are done! We are back to school since yesterday! And to ring in the year with a healthy lunch we packed Whole Grain Pizza Pockets! 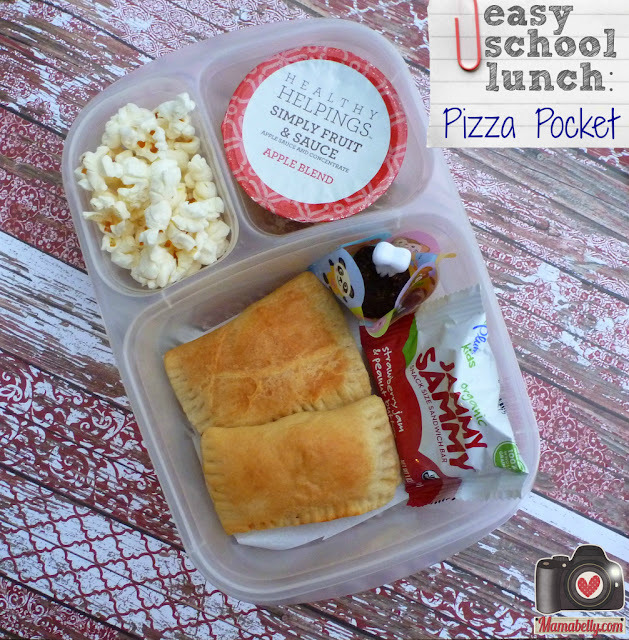 In our Easylunchboxes, we packed cucumber slices, an all natural apple sauce and Whole Grain Pizza Pockets! I also packed a Mini Dipper with some extra pizza sauce for dipping! The last time I made pizza pockets, it was a huge success with my kids since you can really fill these pockets with anything your kids like! However, the dough I used had food dye and I was quite disappointed when I discovered this since we love these pockets. I have looked since into a couple of other options and found that Pillsbury does make a food dye free pizza dough. I was very happy to find that the Pillsbury Artisan Pizza Dough with Whole Grain is food dye free! For the tutorial for the pizza pockets please check my previous post HERE. 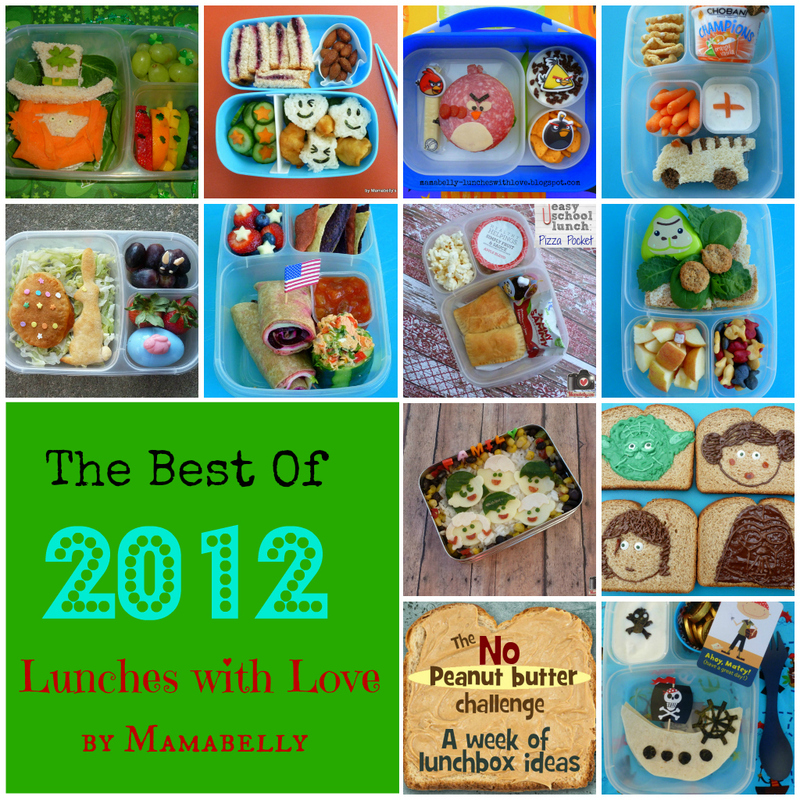 I also added a Lunchbox Love Note for their first day back! Which lunch was your favorite?